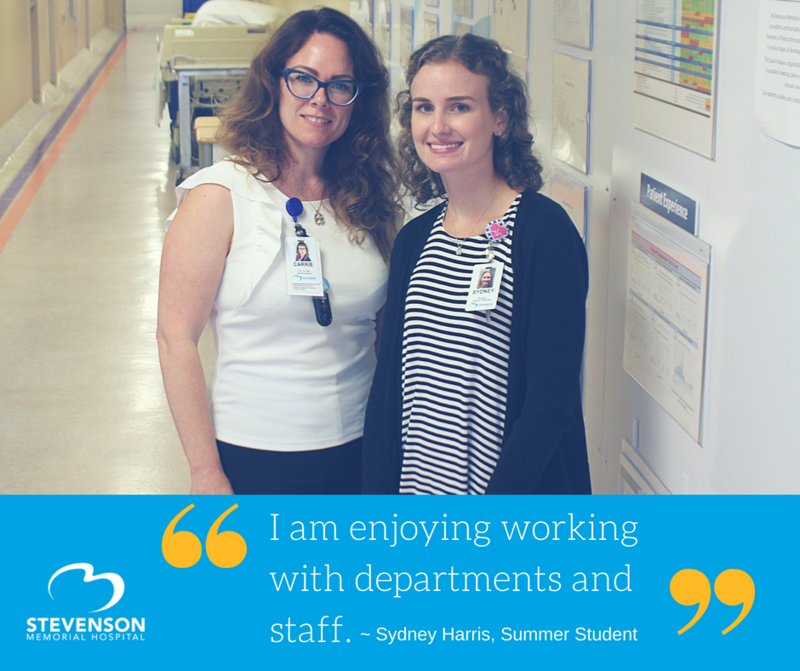 As a part of Stevenson Memorial Hospital’s commitment to investing in the community and providing young people with meaningful opportunities, the hospital has hired Sydney Harris to work over the summer as the Quality Improvement Lead. In her role, Sydney will be implementing several quality improvement initiatives connected to priorities outlined in the recently released 2018 – 2022 Strategic Plan. Sydney is a fourth year nursing student at York University and was hired under the Canada Summer Jobs program. In addition to supporting the hospital’s quality improvement projects, she is being trained in Lean Six Sigma Green and Yellow Belt methodologies at SMH.